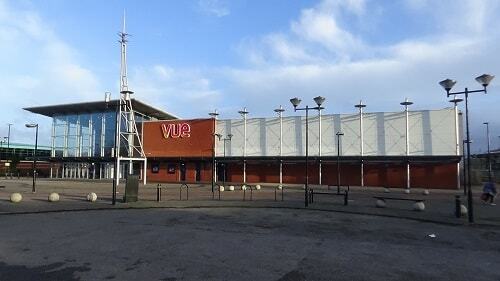 Wirral Council have revealed today (Friday being a good day to bury news) that they have bought the Vue Cinema in Birkenhead for £7.1 million. This follows the purchase of the nearby Europa Building for £8.4 million and the recent buyout of the lease of Birkenhead Market. All three buildings are within the Birkenhead and Tranmere ward which was closely contested between the Green Party and the Labour Party and at the last election Cllr Pat Cleary was elected with 1,881 votes and the Labour candidate Paul Jobson came second with 1,810 votes. It’s been five years since everything was great, but now people are facing a great threat from those who are wrecking things fast. Tyrant Grimmel has to be stopped from finding a hidden world. One person’s journey to discover the truth about herself in her fight to change the world. Set in 1960s American South it describes a fictional account of how people are treated in a bitterly divided society. A security guard uses his supernatural abilities to pursue a man referred to as The Beast, but events are influenced by people who hold secrets. Six strangers are trapped in a number of rooms and must work together to survive. Not meant as an allegory for public meetings at Wallasey Town Hall. Set in the year 1987, this is about an recently turned adult called Charlie discovering a broken Bumblebee. Spider-Man crosses paths with five other Spider-Men from different realities in order to combat a threat to all realities. « Merseytravel and the LCRCA again refuse to show how your money is spent and claim it is vexatious to even ask! What! More money wasted and ,of course, it’s all down to the Tories and austerity! NOT! Who advises such egotistic purchases? What return does the Council think this will generate? Will this become another white elephant? Still let’s put up Council Tax, Police levy and cut services- but not Councillors perks or Senior Management salaries. It’s all part of Wirral Council’s Masterplan for Birkenhead which is supposed to be being consulted on! I am writing to the Council to ask for a tax refund, i work long hours with no time to enjoy life, have little money and to think of the blood, sweat and tears i have to go thought to pay this bloody tax each month, and for what? We need to kick the whole damn lot of them out on their ears, my old boss sits on the Council lives in a posh house drives a big flash car that would take me a hundred years to buy and i struggle to buy food some weeks! Its about time the sheep of Wirral woke up! I can understand how you feel. Unfortunately the attitude from those who make decisions is that people must be stupid. People will get a vote in May (less than three months away). What happens after that is anyone’s guess. In most places there is unfortunately an element of unfairness between the people and those in charge. There was an experiment done in Dauphin in Canada where everyone was given a basic income back in the 1970s. It solved a lot of the issues connected to poverty. The inequalities in this society have gone too far though in my opinion. Political deadlock over Brexit is taking things to a crisis point too.